And it's hard. Many - as high as 70% of - change initiatives fail. But don't let that stat scare you. And don't let it change your attitude about what lies ahead. Don't let that become a self-fulfilling prophecy! You know you need to make the change. You know that it will take a Herculean effort. You can do this! And I'll help with a few tips. 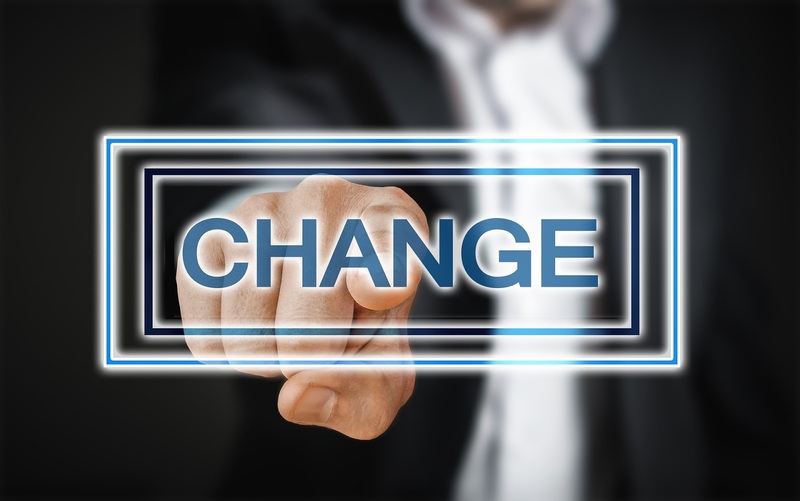 Your transformation efforts are much more likely to be successful when you incorporate some of the most basic tenets of change management. John Kotter's got his eight principles of change management, but I'm going to expand on those a bit and put things into customer experience management terms. There's definitely overlap; after all, as you start to think about the strategies and steps involved in customer experience management, you realize that it is a change management process in and of itself. Here are the fundamental steps - or pillars - to successful customer experience change management. Understand the current state. You can't transform something you don't understand. In order to really learn about the current state and to identify and help prioritize what to fix/change, do two things: (1) listen to employees and to customers, and (2) map their journeys. These are the two greatest tools in your customer experience management toolbox. Create a vision for change. Once you know what needs to be changed, you need to define what the future state will look like. Your change vision is a statement or image of some desired future state, i.e., what the company and the experience will look like after you change, along with details about why this future state is desirable. It will give employees a sense of the magnitude of the change and the overall impact on the organization, on themselves, and on the customer. On the heels of your vision, develop the plan for how it will be executed. Build your business case. Answer the questions: Why is this change necessary? And what impact will it have on the business if we make this change? Identify your objectives first and then align the business outcomes and benefits tied to each. Your outcomes may be customer retention, account growth, new business through referrals, culture change, etc. Benefits might include cost savings and other efficiencies. 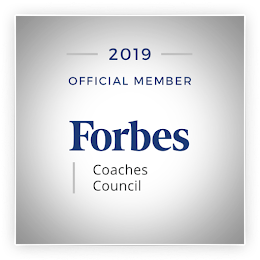 Building your business case is not only about the why but also about the what: teach executives who might not understand the connection between focusing on culture, employee experience, and customer experience and increasing revenue and profits. You'll have to appeal to both the rational and the emotional sides of their brains. And establish the burning platform. Get executive commitment. If company leadership isn't on board with the change, then forget it; it won't happen. You might have localize or departmentalized efforts, but those will be silo'd efforts that translate to silo'd experiences for employees and customers. Without executive commitment, you'll never get resources - human, capital, or other - to execute on your customer experience strategy. And while we're talking about executives, they must also all be aligned. If they're not on the same page about the change initiatives, then it'll be a challenge to successfully execute. Establish your success metrics. You've defined your objectives and your desired outcomes. But how will you know when you've achieved them? What does success look like? How will you measure success? Define your success metrics early so that you can track progress over time. Develop a governance structure. Changing the organization's DNA to be more customer-centric is not a journey for one person to undertake; this is an organization-wide effort. As such, the governance structure is critical to the foundation of any customer experience management effort. Without an executive sponsor, an executive committee, the core program team, and cross-functional champions, your transformation won't get very far. Communicate. Communicate. Communicate. I can't say this enough. Communicating your vision is an important piece of change management. If no one knows what it is or why it's taking place, then people start to ignore it; they certainly don't want to be a part of it. Of course, the key is to communicate the right information. Tell the change story. Early. And often. Let them know what is changing, why it's changing, how it will impact them and what they do (differently) on a daily basis, and how they will be involved. Celebrate milestones and successes. Keep communicating. Involve and empower employees. Get their buy-in and commitment. There's a great quote from Benjamin Franklin that's so fitting here: Tell me and I forget. Teach me and I may remember. Involve me and I learn. Get employees involved - early in the process. When that happens, they feel like they're a part of it. Don't just force change on your employees; give them some ownership in the change. They'll be more accepting of it, without a doubt. Model the behavior. It's important that, once executives are committed to the change effort, they lead by example, to model the change that they wish to see from their employees; if they don't live the change, why should employees?! If your CEO doesn't demonstrate commitment to the transformation by being the role model for how to deliver a great experience, it won't happen. Often times, some quick wins will help to drive the point home that this change is real - and it's happening. Stand up a group of culture ambassadors. Put together a group of people who exemplify the change you envision. They already live the change. They get it. Find ways to not only involve them in the change initiatives but to also be ambassadors for the change: model it, sell it, champion it. Build on initial successes; keep going. Change fatigue can set in at any time because there's always some initiative within the organization that pulls people away from what they are doing on a daily basis. Keep people informed of the progress being made. Celebrate each milestone. Be relentless and just keep going until the outcome has been achieved. Monitor and adjust. Once you’ve implemented the change, once you're in the "future state," your job is not done. The customer experience is a journey, as are your customer experience management and improvement efforts. The business evolves. New products are launched. Customers’ needs change. New competitors enter the marketplace. Continuous improvement is the name of the game. Having problems getting adoption for your latest change initiatives? Avoid change fatigue and the skepticism that comes with change feeling like the flavor of the month. You must have a vested interest in getting the process right, in sticking with the journey and not giving up because it's hard. No one ever said this was going to be easy; nothing worth doing ever is! While creating and maximizing shareholder value is important to any public company, it is an outcome, not a means. There are means to achieving that outcome, and they include putting employees and customers first, ahead of profits. Companies succeed if and when employees want to work for them, customers must be willing to buy - and actually buy - their products, vendors and suppliers want to partner with them, people want them to locate in - and be a part of - their communities, and shareholders buy their stocks. Companies have more constituents than just shareholders and more responsibilities than delivering value for them. The rest of their constituents must receive value, as well. Peter Drucker says that the purpose of a business is to create a customer. You can't create a customer if you don't have the right people in place to deliver value to the customer, if you don't understand who the customer is and what her needs are, and if you're not designing and creating products that help them solve problems or get jobs done. Somewhere along the way, people got the idea that maximizing investor return was the point. It shouldn't be. That's not what democracies ought to seek in chartering corporations to participate in our society. Take care of employees, and they will take care of customers. Don't just treat employees as cogs in the wheel. Trust, motivate, reward, and respect them. Create a workplace where policies and processes don't hinder an employee's ability to do his job - and do it well. Or hinder his ability to deliver a great experience to his customers. It's a mindset shift. I can tell you all of those things have to happen, but your CEO and her executive team (the entire team, everyone on the same page) must choose to lead and to run the business differently. It begins with them. The choice is theirs. But it doesn't often happen on its own - and certainly not overnight! As always, if you can start to show some quick wins and ROI, you'll build the business case for why the shift is necessary. And there's a ton of data out there already to show the impact of focusing on employees and the employee experience. Don't be afraid to use some of that to build your case. Today I'm pleased to share a guest post by Paul Laughlin. This post was originally published on his blog on October 2, 2017. Those questions frequently come up when I’m working with clients. In either training or coaching, the need to "know your stakeholders" is a common one. Whether you need to partner with IT, Sales, Marketing, or Operations, you will need to cooperate. The challenge, of course, is that other people have their own priorities, challenges, and values. These may not accord with yours, or may at least make your intended action less important now. Consider a stakeholder map for better stakeholder management. Leaders (including data/analytics/insight leaders) will easily recall others they work with often. But, one of the benefits of a well-designed stakeholder map is having taken the time to spot others. Whose investment/permission do you need to proceed? Whose process approval do you need to comply? Whose resources do you need in order to deliver change/action? Whose engagement do you need to do the work? Whose expectations do you need to meet to succeed? Whose cooperation do you need in order for it to work? Who thinks they are affected (but aren’t) and needs reassurance? In other words, consider your: sponsors, gatekeepers, suppliers, team, clients, peers, and others who may be worried. Once you have identified these immediate relationships, then think about who they need. Can you identify their line manager, internal suppliers, teams, peers, etc? Some simple examples of different visualisation techniques for this stage are available from Stakeholdermap.com. By this stage you may be thinking this could be a never-ending journey. You are free to stop once you find newly-identified stakeholders who wouldn’t really be impacted. Either they would have no stake in what you are working to achieve, or you don’t need them. My advice is to work on this a little longer than you want to. It’s surprising how often, toward the end, you identify a team or a leader you had not considered. The output of Step 1 may look unwieldy, even if you have produced a beautiful "spider web" on flip charts. That is because it is. Of itself, the above exercise has identified too many stakeholders for you to viably manage. The point of Step 1 is not to create your priority list but first to think broadly enough so you’re not stuck on "the usual suspects." Step 2 is all about prioritization. Anyone who has worked on project/change management will be familiar with the Boston Consulting Grid (BCG). This works on a similar representation. The first question is all about their impact on what you are seeking to achieve. Let’s say you have produced a targeting model for a marketing campaign. Perhaps all your testing has proven (to you) that it is much more accurate than the current approach used by Sales & Marketing teams. In this context, Question #1 means: Who has the authority to decide if new targeting is implemented? One caution here is to consider different types of power. It’s easy to identify those who are more senior in the organization. Also look for those with significant influence over others or recognized expertise. Score highly all those who have high influence over the decision to use the new model. The second question (above), concerns engagement. Frankly, are they bothered? You should score highly those who are very interested (either as advocates or detractors). Also consider stakeholders who have significant "skin in the game," i.e., those you know will be interested once they understand the impact on them. In classic BCG fashion, the ideal quadrant should be top right. That is the stakeholder with high influence and high interest. But, be ruthless. 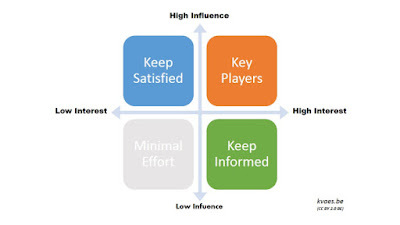 Don’t just keep stakeholders near that top right because you like them or usually work with them. Take a hard look at relative scores – because you need to prioritize down to those who need to be managed. Hopefully you have seen above the benefit of identifying your stakeholders and prioritizing those who matter most. Such a stakeholder map (output from Step 2) can help you prioritze your limited time. Every insight or analytics leader I meet is busy. They often refer to things like "not enough hours in the day." So, personal effectiveness and productivity should matter to such technical leaders, too. This mapping exercise is all about helping you be more productive. Managing stakeholders takes time. The way to avoid burnout and to stay sane is to focus your efforts. Be disciplined in who you spend time with and how you communicate. This is where to really focus your efforts. Get to know these stakeholders, what they are like, what matters to them. What is there preferred way to be briefed (face to face, call, email summary, etc)? Plan in time to proactively ensure they understand your proposal and keep them informed in a way that works for them. Clearly communicate what is in it for them. These stakeholders are your next priority group. They have the influence to make or break your plans, but less/little interest. The key here is to be brief. Ensure you summarize down to the least they need to know to reassure them. Your time is likely to be taken crafting pithy updates or influencing their trusted advisors/teams. These stakeholders are less important than the two groups above, but are interested. Here the key is to minimize the time you take keeping them informed. 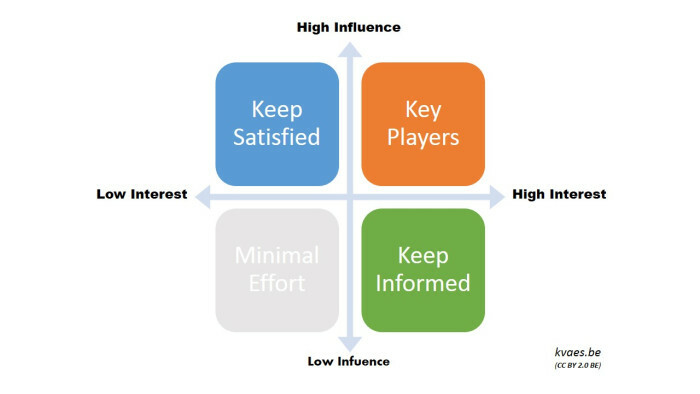 Most of your stakeholders should be below the central horizontal axis, so they are in this or the next group. Given such volume, although this group matter, they can be a time drain. How can you automate reports, or brief them through existing meetings? These are the least important stakeholders. Step 2 should have placed the largest number of stakeholders identified in Step 1 in this quadrant. Here you want to be reactive, if possible, and protect yourself from any unnecessary effort. Avoid offending anyone, but see if you can just answer their questions through existing means or as they arise. I hope that post was useful. It's important to know how to effectively manage stakeholders. But mapping your stakeholders is a great place to start. If you don’t have a map, or the one you have doesn’t work for your current situation, then create a new one. Today I'm pleased to share a guest post by Ford Blakely, founder and CEO of Zingle. According to Google, 98% of Americans switch between devices in the same day. Today’s savvy consumers have a variety of options when it comes to engaging with your brand. From desktop and laptop computers to tablets and smartphones and even brick and mortar stores, the customer journey is more complicated than ever. Let’s get one thing clear, though: having multiple channels is not the same as being omnichannel. 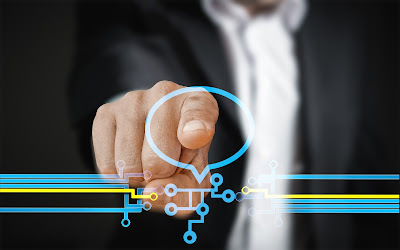 The difference here is that a true omnichannel experience is interconnected and seamless throughout the entire customer journey, whereas multichannel simply means you have multiple customer touchpoints but fail to connect data across channels to enhance the experience. Delivering a true omnichannel experience is hard to achieve but definitely has its benefits. 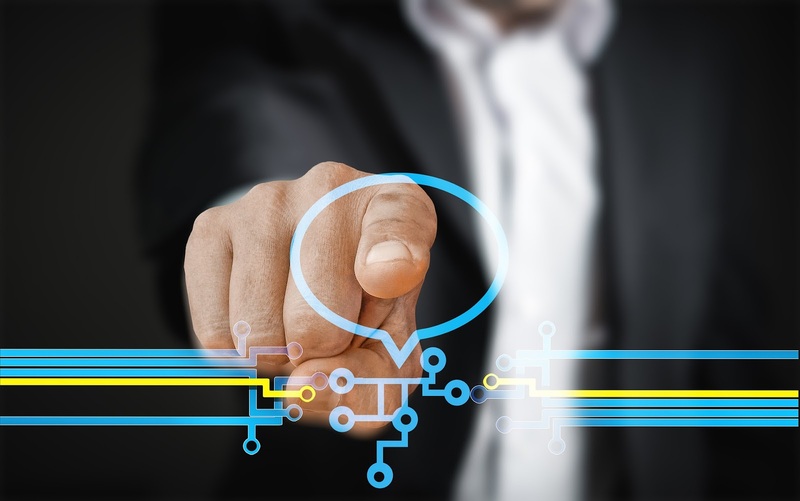 A survey by Aspect Software indicated that businesses that adopt omnichannel strategies achieve 91% greater year-over-year customer retention rates compared to businesses that don’t. Deliver Better Customer Experiences through leveraging real-time and historical data on customer online shopping behaviors, profile preferences, and purchase history, as 90% of customers expect consistent interactions across channels. Provide More-Effective Marketing through targeted promotions and remarketing strategies based on data-driven customer segmentation across channels, as campaigns integrating four or more digital channels will outperform single or dual-channel campaigns by 300%. Acquire New Customers by increasing exposure to your brand and engaging customers on any channel or device they are using, as 71% of consumers who have had a good social media service experience with a brand are likely to recommend it to others. Gain More Robust Data that covers all channels and allows businesses to make better decisions on product development and marketing efforts, as 77% of strong omnichannel companies store customer data across channels compared to 48% for weak omnichannel companies. Improve Operational Efficiency through real-time communication and visibility of data across channels, as 71% of shoppers agree that it is important or very important to be able to view inventory information for in-store products. As you can see, having an omnichannel strategy has benefits for both consumers and businesses alike. Customers get better experiences, while businesses acquire and retain more customers. Consumers don’t care about channels; they demand a fast and effortless customer service experience no matter which channel they use. Common customer care channels like phone, email, website, chat, and social media are all great ways to serve customers, but there is one missing: text messaging. Text messaging is the only channel that doesn’t require a lot of effort or time for customers to engage, and many consumers prefer it; RingCentral reports that 78% of consumers wish they could have a text conversation with a business. But only 48% of businesses are currently equipped to handle any form of messaging. Customer service continues to evolve and improve as technology advances, and businesses should be looking at all channels available to serve customers while keeping in mind the business cost of service for each channel. For example, customer service call centers cost dollars per call versus text messages, which cost cents per call. People like to communicate in different ways. Some like emails; some like face-to-face interactions; while others, like millennials, prefer texting over phone calls. Regardless of which channel your customers choose to communicate, ensure that your messaging, tone, and overall experience is consistent and personalized across channels. In addition, proper training of staff on knowledge, etiquette, and timeliness for each channel you support is equally important as the channel itself. The implementation and execution of your omnichannel strategy can be the difference between rising above - or falling behind - your competitors. Ford Blakely is the founder and CEO of Zingle. As a frustrated consumer with an entrepreneurial spirit, Ford sought to figure out a quicker way to order his latte in the morning. He did - and in 2009 Zingle was born as the first two-way, business-and-customer communication platform. Currently, thousands of hotels, food retailers, and other businesses use the software platform to increase efficiency, revenue, and customer loyalty by providing a quick and simple way to communicate with customers through text messaging - people's preferred method of communication today. In last July's webinar with CallidusCloudCX, I talked about nine behaviors of CX Losers. (There are more than nine, without a doubt!) One of the behaviors was failing to break down organizational silos. I grew up on a farm, so I'm quite familiar with silos. And that's where they belong, on the farm; they're concrete or metal structures that are created to hold or to store something, to separate the contents (grains), and to make that something difficult to get at (by rodents, predators, weather, etc.). That sounds very similar to what organizational silos do: hold, separate, and protect. One silo, er, department, will hold, separate, and protect its contents (data, information, resources, etc.) from another department. 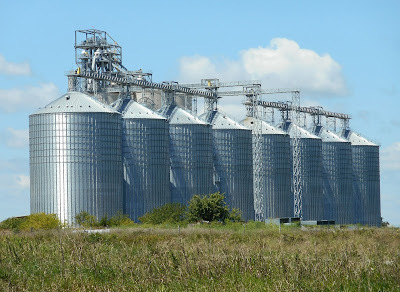 Even worse, the focus within each organizational silo is on the flavor of the day, or of the silo - whatever that silo is working on, which may or may not be connected to what the rest of the organization is focused on. Organizational silos cause pain for your employees. 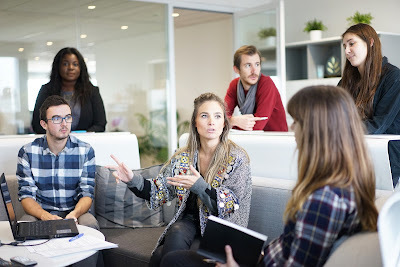 They lead to reduced efficiencies, waste resources, kill productivity, reduce morale (with a them-and-us mentality), and are detrimental to your ability to create a customer-focused culture. This means they cause pain for your customers, too. And they wreak havoc on your CX strategy. Silos kill innovation. They create nightmares for the customer experience. And say good-bye to the omnichannel experience! When departments and channels don’t talk and share customer data, the experience is fragmented and frustrating. You’ve experienced this: Think about having to re-enter your information when you go from website to phone or providing information when transferred from rep to rep. That frustrates customers to no end! There is no consistency or uniformity when there are silos; every department is using its own tools and processes to support what they are doing rather than working efficiently and consistently with the rest of the organization to be more cohesive, to be one company. And employees and customers feel it and know it. They need to get everyone in sync, on the same page, and working together toward a common goal. Think about this: silo is more of a mentality than a physical thing. There are no walls in place to keep you from talking to your colleagues in another department and from sharing what you’re working on with others. Department or business unit heads choose to not share information or to collaborate. It's a leadership issue. It's a culture issue. It requires a shift in mentality! 1. Journey maps: by definition, when you map customer journeys, you must involve cross-functional stakeholders, which (a) gets them collaborating and sharing and (b) helps them see how various departments impact a single customer journey. As a result of that epiphany, they realize they must work together to improve the experience. A previous client mapped their customer journeys and learned that their silo'd business units created a poor experience for the customer, who had to re-engage as a new customer each time he worked with a different business unit. After mapping, they flipped the organization on its head and organized the business to align with the customer journey rather than being a silo'd journey through their individual business units. 2. Governance structure, steering committee: helps to ensure that action plans are executed and outcomes are measured - cohesively, in a collaborative fashion - across the organization; the governance board functions as the engine and the oversight committee of a CX change management initiative. They get people working together toward a common cause/goal. They ensure alignment and accountability, and their cross-functional collaboration is priceless. 3. Communications and collaboration technology: put systems into place that allow employees to share information, learnings, and more across departments, channels, business units, etc. Put technology in place that facilitates and encourages communication and collaboration. Encourage collaboration and cross-functional teamwork – through journey mapping, action planning, design thinking, etc. – in the interest of the customer. Having the tools and technology in place facilitates and supports an open culture. 4. Leadership and executive commitment: breaking down silos is a culture and a mindset shift, and of course, that means it comes from the top. Both company executives and department/business unit heads must lead the charge. What can they do? Other thoughts? Make sure you’ve defined and communicated the company's mission, vision, values, guiding principles, and brand promise. These help to get everyone on the same page. While they may not break down silos, they'll create alignment and break down some of the mentality barriers that exist with silos. Have you had success breaking own silos? What have you done? Would love to hear your thoughts!